Tucker Carlson’s critique of unrestrained capitalism last week sent the Respectable Right into apoplectic fury. 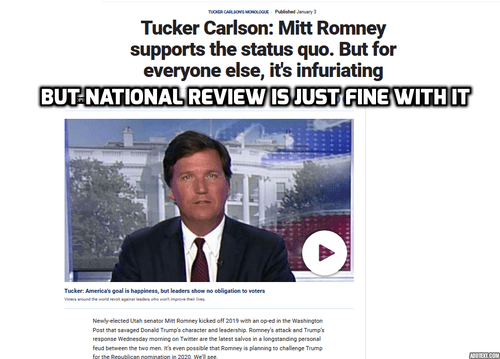 That’s why it’s irrelevant—and why Carlson is increasingly emerging as a name to conjure with. Previous Previous post: French Democracy Dead or Alive?